Our government has noticed that there are children in the UK and that they often go to schools. Whilst cutting funding and imposing a curriculum that would have fitted in nicely 50 years ago the great minds and their civil servants have decided to ban all phones from all schools. Children are addicted to their phones, just like many adults. I think children should be allowed to use their phones when not in lessons. It is vital that they check on their parents’ health and whereabouts every hour and can text friends standing 10 feet away. I am sure they need to follow Donald Trump on Twitter, read the sidebar of shame on Mail Online and keep bang up to date on the explosive developments on Brexit. Boys, of course, need to keep up their 5+ hours a day playing games. 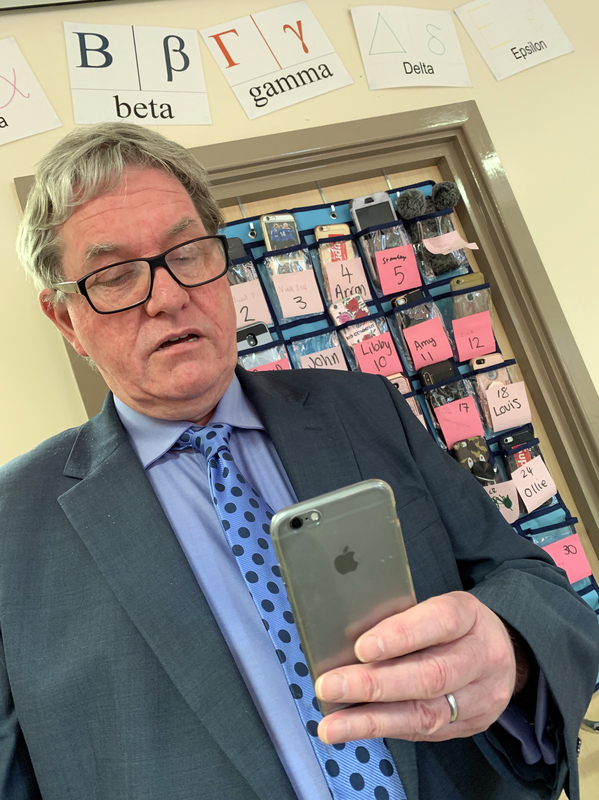 We are fitting phone holders in every classroom so that students will put their phone in the communal holder at the start of every lesson and will be able to take it out of the holder at the end of the lesson. There is no justification for students using their phone during lessons and most do not. From Monday 25th February no-one will use their phone in lessons. We will allow our students their phones to use outside lesson time. Please don’t contact your children during lessons. We employ Kimm and Jodi to answer phones in Reception and they are very good at passing on important messages. The next priority is to run classes on walking downstairs, across busy roads and through doors whilst studying a screen. Putting away phones in lessons should help students concentrate and achieve more. I will also be running adult classes on correct interpretation of “No Parking” signs, disabled bays, zigzags on zebra crossings and how to avoid smashing cars on the yellow parking posts. I know some parents, and other adults, put their phones away when eating and I recently travelled on a train where a man was looking out of the window at our beautiful countryside and would probably have been the object of wonderment if anyone had noticed. The internet, social media and phones are all wonderful, used wisely. September 18, 2014 ChauncySchool2014 Comments Off on New To The Area?